Americans overwhelmingly say that low gas prices are good for the economy and that gas prices would have to increase by more than $1 per gallon before they cut back on driving, according to results of the NACS Consumer Fuels Survey. Overall, 84% of consumers say that low gas prices are good for the economy, a 1-point drop from 2016, according to survey results announced by NACS, the association that represents convenience stores. Convenience stores sell an estimated 80% of the fuel purchased in the United States. Americans also say that gas prices would have to increase to $3.37 per gallon before they reduce the amount they drive, and reach $4.43 per gallon before they seek out alternatives to driving or drive drastically less. “These findings are in line with what we traditionally find in our monthly surveys: consumers say that prices have to increase by about a dollar per gallon from its current price before they consider cutting back. Gradual price increases also gradually push up the price at which they would drive less and it would take a sudden, unexpected price increase before most drivers would consider driving less,” said NACS Vice President of Strategic Industry Initiatives Jeff Lenard. 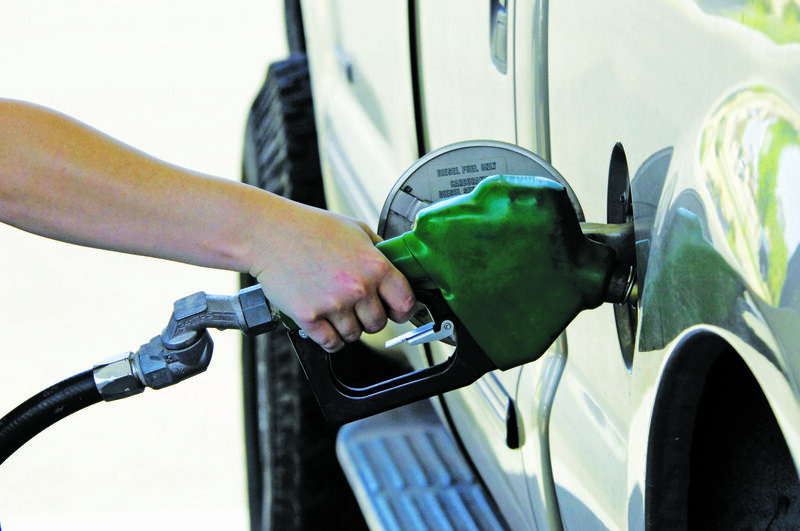 Gas prices tend to increase during the first few months of the year as the petroleum industry undergoes the spring transition to summer-blend fuel. This transition requires the production of unique fuel blends across the United States at a time of increased demand. Since 2000, this transition has led to an average price increase of 53 cents between early February and the seasonal peak, which most often occurs in late May. By a more than two-to-one margin, drivers understand the dynamics of the spring transition: 48% say that they agree that prices increase over the spring months because different fuel blends must be made and distributed for summer months. Only 21% disagree with that statement. Consumers say that prices are more likely to increase because of world events as opposed to a local store trying to increase profits: 29% say OPEC is to blame when oil prices increase, compared to only 4% who blame gas stations. A majority of Americans (57%) agree that most gas stations are small businesses even if they sell the fuel from a national brand. One in four Americans (26%) disagree with that statement. Overall, 58% of gas stations in the United States are one-store operations. Consumers say that convenience stores share their values: 66% agree that convenience stores share their values and do business the right way compared to 34% who disagree with that statement. Consumers say that gas station profits are slim: 43% agree that gas stations make about 5 cents per gallon in profit, compared to 21% who disagree. Gross margins on fuel average about 20 cents per gallon, and after expenses most retailers average about 5 cents per gallon in profit. The survey results were released as part of the 2016 NACS Retail Fuels Report (www.NACSOnline.com/GasPrices), which examines conditions and trends that could impact gasoline prices. The online resource is annually published to help demystify the retail fueling industry by exploring, among other topics, how fuel is sold, how prices affect consumer sentiment, why prices historically increase in the spring and which new fuels are likely to gain traction in the marketplace. The survey was conducted online by Penn Schoen Berland; 1,114 U.S. adults who purchase fuel for a vehicle such as a car, truck or van at least once per month were surveyed January 4 – 6, 2017. NACS has surveyed consumers about their perceptions related to gas prices since 2007 and has conducted monthly consumer sentiment surveys since 2013.